With the recent election of Hamas and its formation of a new Palestinian government, a few world bodies, notably the United States, the European Union, and Israel, have refused to deal with it unless it met certain demands: to renounce violence, abide by previous agreements with Israel, and recognize Israel - or, as it is also put - to recognize Israel's right to exist. The hypocrisy underlying these demands notwithstanding, it is the last that is the subject of this essay, specifically, the object of the demand, namely, Israel's right to exist. The questions here are many and philosophical: Is there a difference between recognizing a state's existence and its right to exist? If yes, what is this difference? What does it mean for a state to have a right to exist? What is the nature of this right? Most importantly: Is there such a right? Finally, are there circumstances unique to Israel's case such that whether it has a right to exist hinges also on these, or does the answer as to whether it has such a right hinge merely on general considerations having to do with what rights states have in general? I will not answer these questions in any definitive manner. Rather, I will, first, show that the above world bodies cannot simply assert, let alone assert with the ease that they have, that Israel has a right to exist. In other words, Israel's right to exist is - like any other state's right to exist - sensitive to circumstances and complexities. Second, I will set the stage for answering the question. That is, I will explain what it takes to answer the question whether Israel has a right to exist. My concern will not be with legal rights. I have read on a few occasions that the notion of a state's right to exist is not a legal one and that there is no such notion under international law. Perhaps. I am not a legal expert. But even if there is such a concept in international law, it has no bearing on the arguments that follow. My concern will be with whether states have a moral right to exist. If they do not, then they do not, no matter what international law has to say (laws have often reflected rights whose moral status is tenuous and sometimes even immoral). What does it mean for a state to have a right to exist? One thing it does not mean is that a (as-of-yet-non-existent) state has the right to come into existence (not to be confused with: “it is good were such a state to exist”). The reason why it does not mean this has nothing to do with states and everything to do with the fact that non-existent things do not have rights, period. I am sure that some philosophers will disagree with me on this point, but never mind. I find the idea of non-existent things having rights mind-boggling. Even when philosophers talk about the rights of future generations, they do not mean by this that they have a right to come into existence, but that, assuming that they will come to exist, they will have rights. The only other sense I can make of “a state's right to exist” is that the state has the right not to be annihilated, not to be, so to speak, “killed,” much like human beings have the right to not be killed (unjustly, if the philosopher Judith Jarvis Thomson is correct). This seems to make sense. If “the right to exist” does not mean “the right to come into existence,” it must then mean “the right to continue to exist,” which in turn means, “the right not to be taken out of existence,” which in its own turn means, “the right not to be annihilated or destroyed.” Moreover, we do require that states not behave in a belligerent manner towards each other, and we have rules regarding the morality of wars, with the idea that states should not have to suffer aggression underlying many of these rules. Of course, it is one thing to make sense of a purported right, but quite another to show that it exists. So the question now is whether states have such a right. I will argue that states as such do not have rights, that whether a state has a “right to exist” depends on the kind of state it is, and, that even when it does have this right, it has it merely as a derivative right (thus casting some doubt on its genuineness as a right). Misled by a bad analogy with human beings, one might think that states do indeed have a right to exist. After all, if I have the right to exist, meaning the right not to be killed, we can say something similar about states: they, too, have rights to exist, meaning that they, too, have rights not to be “killed.” But note that the quotation marks around the latter “killed” are there for a reason: unlike human beings, states cannot be killed; they can be destroyed, annihilated, or swept away from existence, but not killed. “Okay,” one might respond. “Who cares? Let them be destroyed or annihilated rather than killed; the point is that, similarly to human beings, they have the right not to be destroyed or annihilated; they have the right to exist.” But the linguistic point is not picky: there is a vast difference, one especially relevant to the discourse about rights, between things that can be killed and things that can be destroyed but not killed. While anything that can be killed can also be destroyed, the reverse is not true: some of the things that can be destroyed are not things that can be killed, simply because they are not the sort of things to be killed: pencil sharpeners, DVDs, and walls, to give three examples. The (obvious) point is that not everything that can be destroyed is also a thing that can be killed. However, rights are - usually, not invariably (as the debate about whether works of art have rights indicates) - properties or aspects of things that can be killed, maimed, suffer pain and pleasure. States are not such things. So the analogy is misleading, and whether states have rights to exist - to not be destroyed or annihilated - has to be established on different grounds. Well, if states are not the sorts of things to be killed, to be maimed, to suffer pain and pleasure, what are they, then? Without much defense, and following David Copp, here is one promising line of thought: a state is made up of the set of laws and regulations (including constitutions) that are used to govern a people over a territory. I accept a distinction between a people, a territory, and a state: there are the people of Greece (the Greek people), there is the territory of Greece, and there is the state of Greece, the governing rules and laws by and through which the people and the territory are ruled. The country of Greece, comprised of the state, the people, and the territory, can thus withstand the vast number of changes in the way it is run (from monarchies to successive republics). A country can endure through successive changes in its state-aspect, as long as its territory and its people remain more or less intact. Note also that while having a state requires a people and a territory (states-in-exile are not counter-examples), there can be a people without a state (e.g., the Palestinian refugees), and there can be a territory and a people without a state (e.g., the Palestinian people in the Palestinian territories). In short, a state is some sort of a political entity existing to serve, no matter how badly, its people. If this is correct, states are not the sort of thing to be killed or maimed or to suffer pain and pleasure. On the face of it then, states are not the sort of thing to have rights, let alone to exist. It is worth pausing to register a crucial point, one needed for what follows. To have a right usually entails a corresponding duty. If I have a right to this book, this means you have the duty to not interfere with my use of the book. If a state has the right to exist, meaning the right to continue to exist, it would entail the main duty on the part of other states to preserve it, to ensure that it not be destroyed. Now I find this to be a somewhat bizarre conclusion. While it makes sense to claim that people have duties not to kill each other, duties perhaps entailed by our rights to life, it sounds strange to claim that states have the duties to preserve other states (as opposed to people or inhabitants of states). Now my intuitions about this might be off kilter, but if they are on the right track, they might indicate why states as such do not have any rights and why whatever so-called rights they have are entirely derivative from whatever rights their people have. For example, it might be that the main, if not only, reason we can offer as to why states have duties to preserve other states has to do with the fact that states have duties to preserve those entities - states - that are serving their peoples and ensuring the latter's well-being. But be that as it may, the more crucial idea is that it is clear that states do not have any duty to preserve illegitimate states. It is bizarre enough to claim that states have duties to preserve each other. But it goes beyond the bizarre - to the realm of the false, so to speak - to claim that states have duties to preserve illegitimate states. Surely no such duties exist. It then follows that illegitimate states have no rights to continued existence. Thus far, I have tried to argue for two claims. First, a state's right to exist is derivative; it depends on considerations having to do with the state serving its own people and treating other states and peoples properly. States as such have no rights, and whatever rights they have derive from the rights of the people. Second, whether a state actually has the rights in question depends on the particular state and the extent to which it is treating its people well and not existing at the very expense of another people. With respect to the first claim, Israel presents no special difficulties. Like any other state, its rights, including the “right to exist,” are derivative. It is with respect to the second claim that difficulties arise. First, Israel came into existence at the expense of the Palestinians - from 1947 to (roughly) 1952, it managed to ethnically cleanse over 800,000 Palestinians from their villages and lands, and has managed to almost completely destroy these villages. So its very genesis is morally dubious at best and illegitimate at worst. One might object that almost all states came about in immoral ways, and so we should not make an exception of Israel. But there is a simple rely to this: many of those expelled from their lands and their descendents are still around; many live in refugee camps; many still possess the titles to their houses and lands; and many, many have completely maintained their Palestinian identity. They are, to use a cliché, knocking on Israel's door, demanding repatriation, or at least, recognition. So Israel's genesis is recent and its effects are very much with us still, unlike the other historical cases. When these conditions obtain, a state's moral past is relevant to its legitimacy. Its genesis aside, Israel defines itself as the Jewish state. In doing so, it recognizes only Jewishness as a nationality and excludes other non-Jewish identities - hence its obsession with maintaining the demographic Jewish majority of the country. Note three things. First, Israel refuses to allow the return of the Palestinian refugees precisely because it deems doing so to be threatening to its Jewish character, understood in terms of Jewish numerical majority. Second, being a Jewish national of the state is not the same thing as being, say, a French national of France. If I were to immigrate to France and obtain French citizenship, I automatically become a French national. Not so with Israel. If I, a non-Jew, were to become an Israeli citizen, I would not thereby become a Jewish national (not unless I convert). Thus, Israel's legitimacy as a state is bound to the question of how it is to treat its non-Jewish citizens - an issue that has proven painful with respect to its Palestinian, non-Jewish (and, to some extent, Druze) citizens. Third, if only democratic states can be legitimate states, and if Israel's defining itself as the Jewish state is bound to imply some deeply embedded non-democratic practices, then questions regarding its legitimacy also loom large. Thus, there are serious concerns regarding its legitimacy as a state not only with respect to Israel's genesis, but also with respect to its very continued existence as the Jewish state. These concerns are three and can be described as external (its treatment of the Palestinian refugees), internal (its potential non-democratic practices that stem from its exclusionary nature), and internal-external (its potential attitude towards potential Israeli citizens who are non-Jews). The point is not that Israel is not a legitimate state. It is, rather, more modest, namely, that no one, in light of these concerns, can simply assert, let alone assert with ease, that Israel has the right to exist. Whether it does depends on its legitimacy, and the above three concerns raise serious doubts about that. One might object that even if Israel as a state does not have the right to exist, Israel the country does, and that is what is meant by the usual phrase “Israel's right to exist.” But this simply won't do. Briefly: a country is made up of a state, a people, and a territory, and so its legitimacy - and in turn its “right to exist” - depends on whether these three are legitimate. There is nothing illegitimate about the Israeli people (I'm not even sure what that would mean), but there are serious concerns about its territory. Were Israel to have its way, it would annex large swaths of the West Bank and, from what we can tell, it would also keep the Syrian Golan Heights, a territory currently, like the West Bank, under Israeli occupation. Such an action would not only be illegal under international law, but also immoral, if only in its subjection of people to control they do not want. But my concern is really the state: for a country to have the “right to exist” its state must be legitimate. If not, then the country has no such right. This does not mean, of course, that it would be moral to treat its people badly, to kill, terrorize, or maim them, for example. I have raised some serious concerns regarding Israel's so-called right to exist. Any right to that effect will derive from its legitimacy as a state. Because Israel's genesis and continued existence - as a state, not just as its actions, conducted somehow accidentally or due to some bad apples in the government - is at the moral expense of a people (Israeli and non-Israeli Palestinians) who have rights against it, then its legitimacy as a state is in doubt. But if so, then its “right to exist” is in doubt, too. This sounds right. The conclusion is confirmed by the thought that if Israel is, by its very essence, a state that excludes other people who have rights against it, then other states surely do not have duties to preserve it. No state has the duty to preserve another state that is illegitimate (which is not the same as having the duty to attack it; these are not the same duties). I will conclude with two final issues. First, can one recognize Israel's existence without recognizing its right to exist? And what's the difference? One, indeed, can. To do the former is to recognize Israel's legal place among the community of nations, as an entity with representatives, institutions, and other bodies that one is willing to deal with. But this is a far cry from recognizing its right to have these things. Second, it seems that from what I have said that it follows that two claims cannot both be true, namely, that Israel is the Jewish state and Israel has a right to exist. The thought is that since I have cast doubts on the latter's existence based on considerations having to do with the former, it seems the two cannot be both true. Whether this is correct depends on what we mean by “Jewish state” and whether we must understand “Israel” to refer to “Jewish state” understood along certain lines. If “Jewish state” means “a state that maintains a Jewish majority,” then, yes, Israel, where it exists now, does not have the right to maintain itself as such a state. But surely this is not the only meaning that “Jewish state” has (an issue that I cannot go into now and that much has been written on). If so, then both can indeed be true, and that is, indeed, very fortunate, for denying Israel's right to exist does not amount - not by any long shot - to denying Israelis other rights, such as the right to lead safe lives, to pursue their happiness and life-plans, and to live in dignity. Without wishing to exaggerate, it seems that there are today common and prevalent converation phrases that take one or more of the following forms: "I find this to be offensive," "That is an offensive thing to say (or do)," or "What you are saying is very offensive." Obviously, what is common to all of these phrases is the accusation that something said or done is offensive. Such accusations, however, are dangerous, for they could, and many cases do, have the effect of shaming or cowing the accused speaker into silence. Sometimes this is not so bad. When the speaker is going on and on about how a group of people (African Americans, Arabs, Jews, Muslims, Cathloics, Russians, Kosovars, etc.) are nothing but animals or something like that, it might not be so bad to shut him up - if, that is, he and his ilk are the sort to be cowed by the accusation that what they say is offensive (if X has it in him to say that all Arabs are scum, then he is not likely to be moved by the accusation of being offensive). After all, such people are simply hurling epithets. Were they to be engaged in some semblance of rational argument, even if racist or, generally, bigoted, shutting them up is not good. It deprives us of the chance to convince them that they are wrong and possibly changing their minds, or at least the minds of a third party. And it deprives us, the ones arguing with them, of the chance of re-polishing the beliefs we take to be true by having these beliefs continuously challeneged, even if by bigots. This is, of course, an argument originally given by John Stuart Mill in "On Liberty": we should never silence what we take to be a wrong opinion for many reasons, one of which is depriving ourselves of challenging those beliefs we take to be true. If we do not challenge our beliefs, they can become stale, and our holding them becomes a matter of rote. Mill had more to say on this issue, and I will return to another important point by him. But first, a few matters need to be addressed. Note first that, depending on what we mean by "offensive," there could always be someone who will find something offensive. If by "offensive" we mean something along the lines of "is found to be annoying," then there's always bound to be someone who will find something or other to be annoying and so offensive. I (and many others) find people chewing with their mouths open annoying; some find certain colors to be so; others find perfumes to be annoying; and yet others find eating cheese to be so. The examples can be multiplied. If this is what we mean by "offensive," it is clear that accusing others of being offensive when they say or do certain things is a practice that should be eliminated, for then the accusation of offensiveness functions primarily to register or express the subjective annoyance of the sccuser. And in that case, who really cares? If I say to Rachel that I find her unrelenting habit of eating cheese to be offensive, then so what? Why should she or anyone else care? People have all sorts of weird tastes and pursuits and, as the saying goes, you can't please everyone. Accusing others of offensiveness really does nothing but express the spoiled attitude of the accuser (e.g., "I find the way you walk to be offensive") and to embarass, hurt, and probably anger the accused (e.g., "Really? Go **** yourself"). Who needs this? But it is likely that we mean more by accusing someone of being offensive than simply registering our annoyance with or dislike of what she says or does. It is likely that we are registering our view that what is being said or done is repulsive, abhorrent, or, minimally, wrong. These are not mere subjective reactions and accusations, by the way. They purport to say something more than that the accuser personally finds what is being said or done to be horrid; they try to impute an objective quality to what the accused has said or done, namely, that it is horrid, repulsive, abhorrent, or wrong. This point coheres with the typical cases in which people accuse others of being offensive. Such cases include those when X claims, for example, that women like to be hooted at by men as they walk down the street because they like the attention, that gay men are a bunch of sissies because all the ones I've met can't throw a ball if their lives depended on it, and that African Americans cheat the welfare system (or what's left of it), because all the ones I know can easily work but prefer to live off of the government. When some of us react to such observations with the retort that they are offensive, we clearly mean more than that we find them annoying or that we dislike them; we mean to say that they are, at minimum, wrong, and maybe even viciously so, expressing not only a weak grasp of the facts, but a measure of idiocy that is hard to fathom. Of course, the observations in the above examples are wrong. But the issue is whether the reaction of finding them offensive is the proper sort of reaction. In today's climate, to accuse someone of being offensive usually has the effect of silencing the person, of getting him or her to quit. Whether this is done intentionally is not my concern, though I'm certain some people do try to silence others by resorting to such tactics on purpose. My concern is the effect such tactics have. Most interesting is the fact that such silencing is successful mostly in those cases when the opinion offered (and then the speaker silenced) is not popular. The reason why this works is obvious: to silence someone by shaming or cowing her, often, though not always, depends on the fact that what she says or does lies in the minority opinion. For example, I am able to silence John with the accusation of offensiveness when John claims that Arabs are backward people precisely, though not wholly, because John is aware that his opinion is in the minority (which does not require - obviously - that John literally be outnumbered by other people present at my shaming him). It is also not necessary for such shaming or silencing to work that the opinion of the silenced person be false: an Israeli who agrees that Palestinian refugees should have their right of return recognized could easily be shamed into silence by fellow Israeli patriots. What is crucial is, as mentioned, that the opinion be in the minority. This is important because we do not want minority opinions to be silenced, and we should not have them be silenced; if accusations of offensiveness silence them, then such accusations need to go. We should quit the habit. They should be replaced by other reactions, such as, "And please tell us why you think so," and "Could you please support that claim?" (with "please" used non-sarcastically). Such reactions promote debate and reasoned discussions, thus helping us strengthen the beliefs we take to be true and possibly also proving our opponent wrong and maybe even convincing him that he's wrong. Shutting him up by telling him that he's offensive does nothing of the sort and probably has negative consequences: it might make him resentful and could possibly make us priggish. Moreover, minority opinions are, clearly, not always wrong or bigoted. If the true ones are silenced, we all stand to lose by this. Unless we all wish to keep our heads in the sand, we need to continuously test our own beliefs and opinions. Having them clash with minority ones can only do us good. Accusing them of offensiveness and silencing them can only do us bad. Indeed, if accusations of offensiveness are a form of invective, then we truly treat minority opinions unjustly. This is connected to one crucial point Mill makes in "On Liberty" (Chapter II, paragraph 44), namely, that it is often those whose opinions are part of the majority ones that rely on invective to silence their interlocutors. Indeed, those whose opinions are in the minority, according to Mill, often cannot afford to rely on invective, for the only chance they often have to receive a proper "hearing" is to present themselves in a "studied moderation of language and the most cautious avoidance of unnecessary offence, from which they hardly ever deviate even in a slight degree without losing ground." We ought, then, to quit this business of accusing others and their opinions of offensiveness and engage each other in a good, hearty debate. After all, this is why we have free speech and this is what good, solid democracies are built upon. It often happens that college and other types of events dealing with the Israeli-Palestinian (I-P) conflict are accused of bias or of being one-sided or of lacking balance. So, for example, if a teacher shows a film in her class that is sympathetic to the Palestinians, some students complain that it is biased and that the whole event is, because of that, biased also. If a student organization puts together a panel of speakers who are supportive of Palestinian issues, the event is accused of being one-sided and of being biased, to give another example. The use of the term "bias" in such cases differs from the way it is sometimes used when people say, for example, "I am biased toward chocolate, not vanilla." This way of using the term expresses simple personal preferences. It is also different from the way the term is often used in the sciences, where we speak of a sample being biased, meaning, simply, that the sample was not chosen at random and that it reflects a certain range or type of evidence. In such uses, there is no implication of moral wrongdoing or of failure. Not so with accusations of bias in the I-P conflict (and perhaps other political events). These are meant to imply that there is a serious moral failing in such events. Is there? This is the issue I want to briefly look into. What could be the source of such accusations? One answer that comes immediately to mind is that if a teacher shows a pro-Palestinian (which does not mean, by the way, anti-Israeli) movie or assigns such a book, she is biased because she is taking sides, and that the event is biased because it encourages the students to take sides also. But this cannot be right. Taking sides, as such, is not bias in any seriously negative (moral) way. Suppose I witness Terri taking Rachel's coat, and I side with Rachel, asking Terri to return to Rachel her coat. How can I possibly be biased? Surely not simply because I took sides! Indeed, if we do not take sides in certain cases we do show a moral failing and a serious one at that: we fail to be just and fair. Moreover, it seems to me that the general connection between accusations of bias and taking sides is this: when one takes the side of the wrong party in the conflict, one can be legitimately accused of bias in the sense that one is either being blind to the facts, including the moral facts, or one is willfully aligning oneself with the wrong side, even though one knows what the facts are. 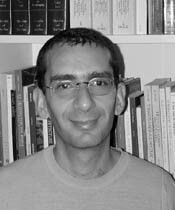 In the case of the I-P conflict, whatever failures and moral misdeeds the Palestinians can be rightly accused of, ultimately, it is Israel that cleansed the Palestinians in 1948 and built a country at their expense, that occupied the rest of their lands in 1967, and that continues to treat them in woefully morally inadequate ways. * So to show sympathy to the Palestinians and educate the world about their plight is certainly no baised stance. If anything, it is a just one, and, depending where and in what political atmosphere one takes such a stance, a courageous one to boot. But another meaning of "bias" in such cases is that the event or the person in charge of the event, be it a panel of speakers, a rally, or a classroom discussion, fails to show both sides of the issue. As we all know, there are two narratives to this conflict, the Israeli one and the Palestinian one. And to exhibit bias or to be baised is simply to fail to show or explain both sides; it is to lack balance. And this, one might claim, is a failing, and, indeed, a moral one at that. But is this true? Is showing or explaining only one side a moral - or, at the very least, a serious failure? Not so obviously. Consider - and I am not making an analogy with the I-P conflict - a panel discussion at a college campus on Apartheid South Africa during the time when Apartheid was alive and well. Is it a moral failing that no one representing the pro-Apartheid side is present? It seems to me that no one would want to make such a claim, and for good reason. For if the task of the panel is to inform the students about the moral wrongs of Apartheid, no one is going to, or should, claim that the pro-Apartheid side be represented. If we do, then we are balancing the just with the unjust. Is this the balance we strive for? Surely not. We can immediately derive two lessons from this. First lesson: one cannot simply require that for any such discussions that both sides be represented; whether one should make such a requirement depends on the issue being discussed. That is, some issues are genuinely morally complex in that more than one side is in the right; in such cases, requiring that both sides be represented makes sense. In the case of the I-P conflict, it does indeed have many complex aspects. But at its core, it is a simple conflict and is about giving the Palestinians their just due. Currently, there is no such due being given: no viable state, no right of return for refugees, no self-determination for the people, etc. If anything, Israel continues to act unilaterally and at the expense of the Palestinians. So if by both sides we mean that both sides are equally morally right, then we kid ourselves. For no point of view can morally defend the general practices that Israel engages in towards the Palestinians. There is no balance to be sought here between both sides. Second lesson: whether both sides should be represented depends also on the nature of the event and what it aims to achieve. Consider a history class on South Africa: it would seem to me to be entirely fair to demand of the teacher that she explain the pro-white point of view as part of the history she is seeking to teach her students. This is because the point of the class is history, and to teach this history well, the students need to know the history in as comprehensive a way as possible, and this includes all relevant sides to the issue. or consider a discussion of the philosophical issues involved in the I-P conflict. In such a discussion, it is imperative that students hear both sides of the issue. This is because the discussion is a philosophical one and the students need to assess the arguments of each side. But once the teacher turns from strict history to moral lessons from history, then the wrong side immediately ceases to have representational importance, for we do not, and should not, learn our morals from the wrong sources. With respect to the I-P conflict, again much depends on the nature of the event. If the event is on the psychological toll of the conflict, then yes, both sides should be represented, for both people have suffered because of this conflict. If the context is a history or a philosophy class, then yes, it is important that students know both sides of the issues. But if the context is, say, a panel to educate people about the core issues of the conflict, then it cannot be right to accuse it of lack of balance if certain Israeli points of view (I say "certain points of view" since many Israelis are very much on the side of the Palestinians); for the core issues are moral, and when it comes to these, it is the to Palestinians that justice is owed and it is Israel who has committed the injustice. In short, to accuse an event on the I-P conflict as being one-sided simply because it shows only the Palestinian point of view (assuming for the sake of simplicity that there is only one such point of view) or features speakers representing only the Palestinian point of view should not be accepted at face-value. Much depends on the aim of the event and its context. One-sidedness is not only not always a bad thing, it is sometimes a good thing. For sometimes to show both sides is to commit a moral failure: to equivocate between sides when you should not equivocate; to fail to give others their due when you should not fail; to exhibit cowardice by not standing up and declaring who is in the right. We should quit knee-jerk accusations of bias, lack of balance, and one-sidedness. We ought to pause, think, and decide whether such accusations are in order before we hurl them at others. After all, to accuse without thinking is also a moral failure. * This historical view of what happened in 1948 is generally accepted by Israeli and non-Israeli historians of the I-P conflict (including Benny Morris, who morally justifies the ethnic cleansing; see his interview with Ari Shavit in "Haaretz," January 8, 2004). For some references, see Benny Morris, "The Birth of the Palestinian Refugee Problem, 1947-1949" (Cambridge University Press, 1988; second edition, 2003) and "Righteous Victims" (Vintage Books 2001); Ilan Pappe, "The Making of the Arab-Israeli Conflict, 1947-1951" (I. B. Tauris, 1994); and Norman Finkelstein, "Image and Reality in the Israel-Palestine Conflict" (Verso, 1995; second edition, 2003). This is the first of a series of informal thoughts about what we - a people, a nation - may do to other people, nations, or individuals, in the name of our security. Much of what I say today is unoriginal. Still, it helps to get our thoughts sorted out. By "may" I mean what we morally, ethically may do to others; what morality allows us to do, not what we are physically or psychologically able to do. And keep in mind what morality allows us to do might not always be the best morally commendable choice; it might simply be what morality minimally sanctions. Let's start with a simple example, not meant as an analogy or comparison with anything but only meant to raise a point. Suppose that I KNOW that someone - let's call him Richard - is about to physically attack me. Clearly, I am morally allowed some form of self-defense. What am I allowed to do to Richard to stop him from attacking me? May I punch him? Break his knee(s)? Kill him? It does not seem that we can answer these questions until we know what Richard wants to physically achieve in attacking me. I mean that we first need to know whether he wants to punch me, slap me, kill me, or maybe just pinch me. Why do we need to know this first? Well, suppose we say in answer to the above questions, "You may do to Richard whatever is necessary to stop him from attacking you." This answer will not do on its own. Suppose that Richard is trying to pinch me; just pinch me. He wants to, say, grab me hard and pinch me in the arm. This will definitely be painful. But it is by no means fatal. Now suppose that the only way - the necessary way - to stop Richard from pinching me is to kill him. No doubt, it is difficult to imagine such a case. But perhaps Richard is one of those single-minded people - I mean really, really single-minded people - who will not stop until he achieves what he wants to achieve. So suppose Richard will keep at it until he manages to pinch me, and the only way to stop him is to kill him (injecting him with a sleeping drug will only postpone his attempts to pinch me till after he wakes up). May I kill him? Clearly not. After all, why not let him pinch me and just get it over with? (If the case were such that Richard wants to spend the rest of his life giving me one pinch after another, then we have a whole different case on our hands.) Killing Richard to prevent him from pinching me - even if that is the only way to prevent him form doing so - is just plain wrong. A pinch is just a pinch, after all. But killing is, well, much, much more morally serious. The above reasoning, it seems to me, applies to a whole lot of things over and above pinching. I may not kill Richard even if that's the only way to prevent him from smelling my flowers, eating my French Fries, blowing in my ear, punching me in the face (or the arm, etc.)... you get the point. Well, may I kill him if that's the only way to prevent him from chopping off my arm or my leg? From turning me blind? From giving me one pinch after another until he (naturally) dies? If we reason along the lines we just did, we'll have to say, "No, you may not kill Richard. After all, having an arm chopped off is just an arm chopped off, whereas killing is killing. And if Richard is just adamant on pinching you on and on and on, you'll just have to live with that; it's an inconvenience, and a serious one at that, but it is not as bad as killing someone!" But something has gone seriously wrong here. It is one thing to claim that, on a general level and all things being equal, death and dying are worse than, say, losing a limb, but it is a very different thing to say that, everything else being equal one may not kill another to prevent that other from chopping off one's limb. I'm not sure why. I think it is because it has something to do with autonomy, with the fact that when it comes to MY life, I have to be able to live it in a minimally decent way, which includes having my health (including my limbs) intact as much as possible, and being able to be free from constant pain and constant pestering by others (including being pinched around the clock). That is to say, we all need to be able to chart our lives as we see fit; to be able to do so, we need certain things in place. If someone tries to deprive us of these things, we have may stop him or her. If the only way to do so is by killing him or her, well, then, so be it. Note that this does not include killing Richard because he wants to pinch me once. The ability to chart our lives as we see fit does not mean treating others in any way we want; we need to be moral. Getting pinched once or twice or a number of times by Richard is annoying, yes, but it is not going to prevent me from living my life. So I may not kill him if that's the only way to stop him. I may not even chop off his hand. I may not (perhaps) even punch him. All of the above assumes that the only way to stop Richard from pinching me is by killing him. But if that's not the only way, then OF COURSE I may not kill him to prevent him from pinching me. Now suppose that Richard wants to kill me, not pinch me. It is clear that if killing him is the only way to stop him, I may do so (although this is subject to some amendments - more on this later). But it is also clear that if one way to stop him is by yelling, "Richard! Do not kill me! ", and if I am capable of yelling these words, then I may NOT kill him to prevent him from killing me. I must use the morally most acceptbale means to do so, in this case, yelling at him. But suppose that I don't know whether Richard will try to kill me. Suppose that all I know is that it is possible that Richard will try to do so. What may I do then? Well, possibilitity is too weak. It's possible that a tree might fall on my head. So what? If it's mere possibility that we're talking about, then I may do nothing to Richard. But suppose now that there's a good chance, a high probability, that Richard will try to kill me. What may I do then? This will be the subject, along with some tentative conclusions, of the next blog. Soon enough, things will get much more complicated. I will not derive any general general conclusions until these complications are accounted for. That is why this is a series. Professor of Philosophy at The School of the Art Institute of Chicago, will be blogging soon! Check back for updates!